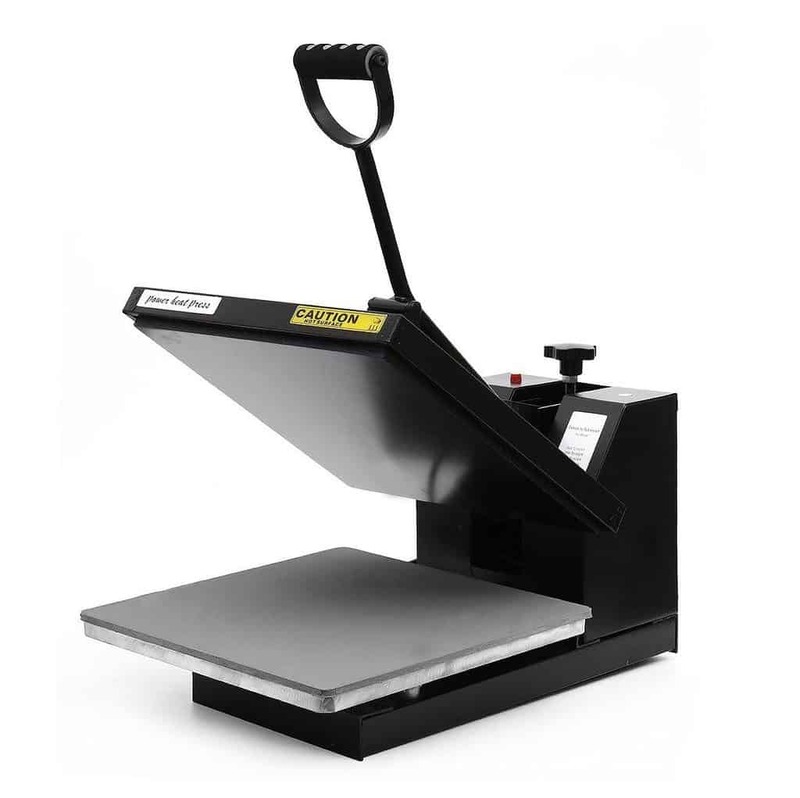 One of the world’s best-selling heat presses. A buy-it-for-life machine! Are you planning on printing on lots of t-shirts, then it is time to ditch the iron, take a deep breath and buy a heat press. And this one takes some beating! 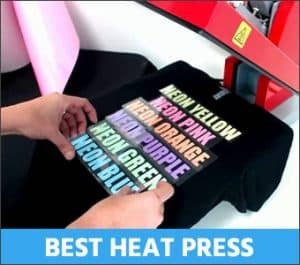 This versatile and durable heat press is one of the most highly rated heat presses that you can invest in, whether for personal or commercial use. Perfect for beginners and shop owners. One single press and the job is done. As with any heat press, make sure that the material is completely flat and free of wrinkles. This machine will print on many more items than just t-shirts. 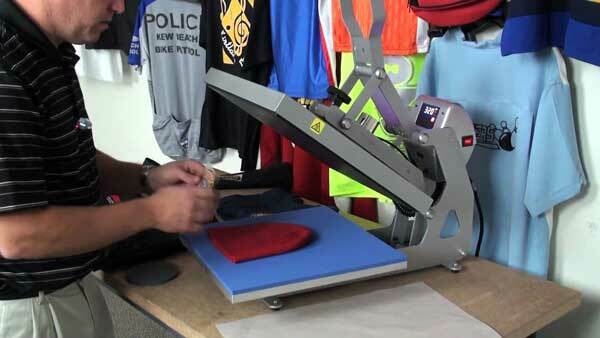 Use it to print on all types of clothing, hats, swimwear and many other types of garment. However, it is quite a heavy machine and once set up, you won’t want to keep moving it. So, set it up so that you have plenty of access from at least 3 sides, left, right and front. One other small issue, when you first use it, no surprise, it will smell a bit. This is perfectly normal and not dangerous, but you may need to open the windows. This is only a problem for the first few uses, so don’t panic – it’s a great machine. You can learn to use this machine in 10 minutes! The size of the platen or plate, 15” x 15”, will make your life easier. If your image or vinyl is less than 15”, the job can be completed with just one press – easy. 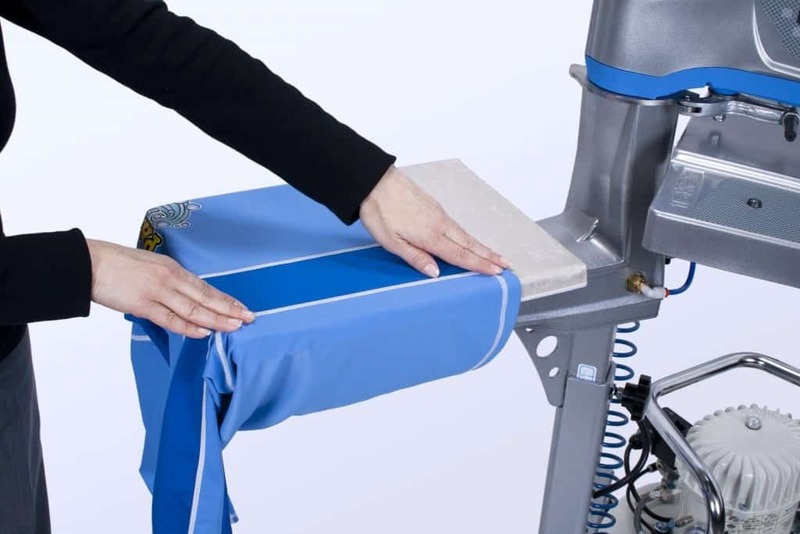 The size of the platen will allow you to handle work on large size garments, from women’s XS to men’s XXL This machine gives you ability to handle a wide range of sizes. The heating plate also includes a dial which makes it easy to keep your print designs centered accurately on the target garment. It is also strengthened with aluminum, giving consistent heating and even heat distribution throughout the plate. The Teflon coating on the upper plate means Teflon sheets will not be required saving you a fair amount of expense. Also, the Teflon coated surface is easy to clean with a simple wipe. The Teflon coating assists in providing an even distribution of heat across the platen area and producing a much better quality of finished work. The lower platen has a silicone gel pad that can endure a maximum of 350 degrees without any distortion. A silicone pad evens out the pressure applied. It provides the perfect contact between your transfer and the material. It facilitates the transfer of heat to garments with thick seams, zippers, pockets, rhinestone, etc. it is also very useful for supporting uneven substrates such as caps or mugs. 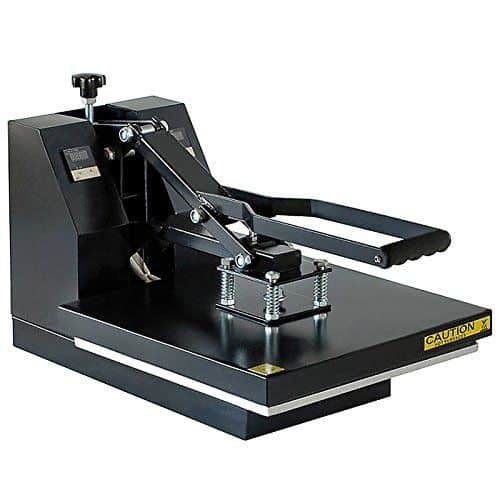 This popular heat press has a knob on top of the machine to which allows you to easily adjust the pressure to ensure the plates lock in place. Turning the pressure adjustment knob clockwise will increase the pressure on the panel. Trial and error will get you to the right pressure for your job. You can set the temperature and time for your job with the simple to use LCD digital control board. This is a very useful feature of the heat press as different jobs require different temperature and time needed to get a great result. Wait till the panels heat to the required temperature and you’re ready to go. When the print is complete, the heat press will let you know with a pleasant beep. This unique feature protects your machine from voltage irregularities. Teflon coated heating plate: Don’t need coated sheet anymore, harmless to the cloth, convenient to clean, and provides attractive appearance. Integrated electric control system for simple adjusting and maintenance. The PowerPress Industrial-Quality Digital 15-by-15-inch Sublimation T-Shirt Heat Press is the best and most popular heat press on the market. It won’t break the bank, is easy to learn to use and operate, easy to keep clean, solid and durable. You won’t be disappointed with this machine. 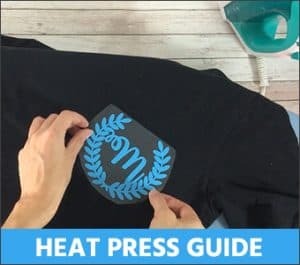 If you’d like to find out some more information on other great heat presses for beginners, we’ve got that covered here. Can You Heat Press Polyester? 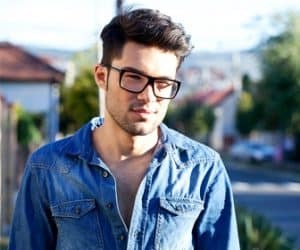 Read This Before You Do!